O'Donnellan & Joyce is offering for sale a wonderfully spacious four bedroom semidetached family residence in Knocknacarra. Cluain Dara is a lovely residential development located off the Western Distributor Road and is one of the most sought after and popular residential estates in the Knocknacarra area. The estate comprises a mixture of three and four bedroom semidetached homes which overlook large manicured lawns. 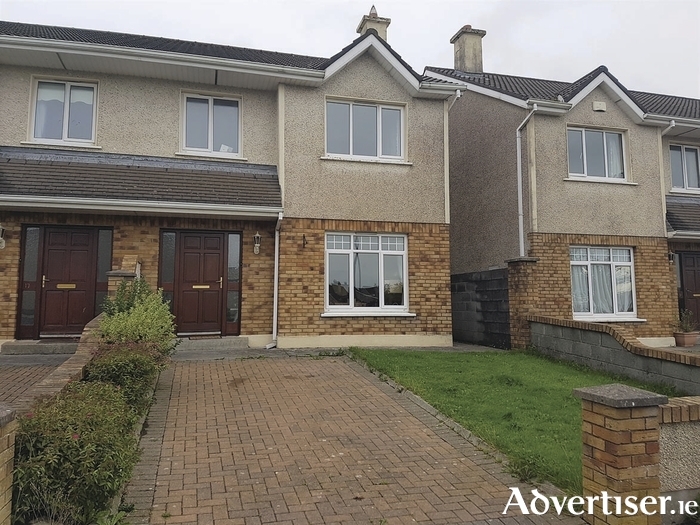 In terms of location, this property has all that one would require and is ideally located within walking distance of the new Colaiste na Coiribe School and Knocknacarra National School. In addition it is conveniently located opposite the Clybaun Hotel and just moments from Sheridans Bar & Restaurant, Joyce’s supermarket, Salthill Promenade, Silverstrand beach, and Barna, while Galway city centre, NUIG, and UHG just a 10 minute drive away. No 18 Cluain Dara is a four bedroom semidetached family residence overlooking a spacious green area in the centre of the estate and offers private off street parking, and front and rear private gardens. The accommodation includes a welcoming hall, a lounge room, and an open plan kitchen/diner overlooking the private rear garden. A downstairs toilet and utility room completes the accommodation on the ground floor. Upstairs the accommodation comprises the main family bathroom and four fine sized bedrooms, with the master bedroom en suite. Outside the property has front and rear gardens, off street parking to front, and side access. This is an ideal owner occupier residence or a gilt edged investment property with guaranteed return on investment. Viewing is highly recommended and guaranteed not to disappoint. The BER is D1. Asking price is €294,000.